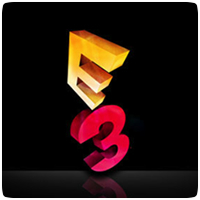 Sony has revealed the date and time for their E3 2013 Press Conference, and Kaz has been confirmed as a speaker at the event. The Sony Press Conference will be held on Monday, June 10th at 6PM PST / 9PM EST / 2AM BST, and will be watchable via a number of streaming options, including the PlayStation.Blog and PlayStation Home. Hopefully, we’ll get to see what the PS4 will actually look like at E3, and hear about more games. It’s possible that Sony also have a few surprises up its sleeve and waiting to be revealed to the world at E3. We’re also hoping that an official release date for the console will be announced, including a European release date. The PS Vita may get a price drop at the event too, and help boost sales for the portable device.